Marketplaces and prices shown matched UPC number 810137033709 during our search. 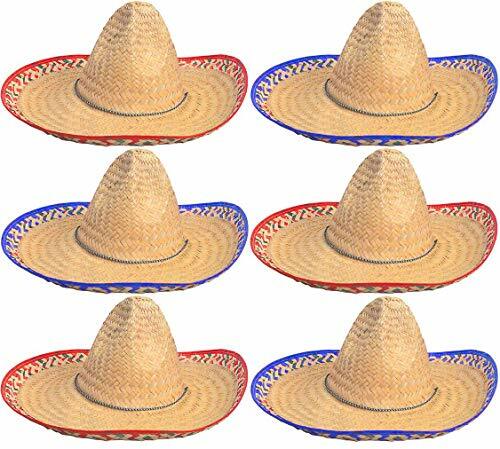 This package contains 6 large sombrero hats. Hats comes with a variety of different designs on them, you will get 3 red and 3 blue as pictured! 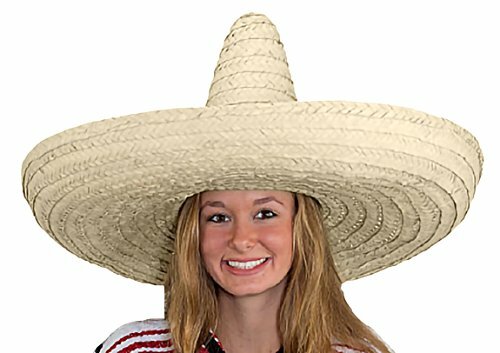 Show Your Spanish Style in This Comfortable Hat for Men or Women! This spectacular sombrero exudes an authentic Mexican fashion flavor. Adorned with a multi-color braided chinstrap and a funky red or Blue brim border. 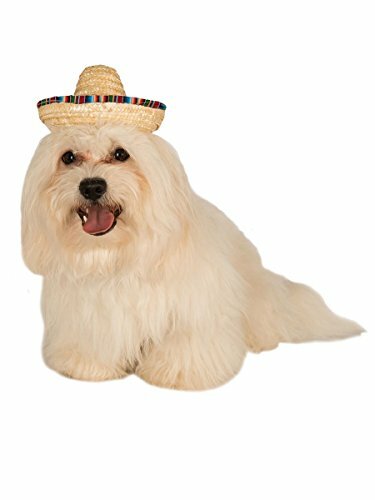 This package is perfect for any Mexican themed party, or just any family taco dinner. Hat Size: 22.5" circumference Fits Most Adult, And even some kids. 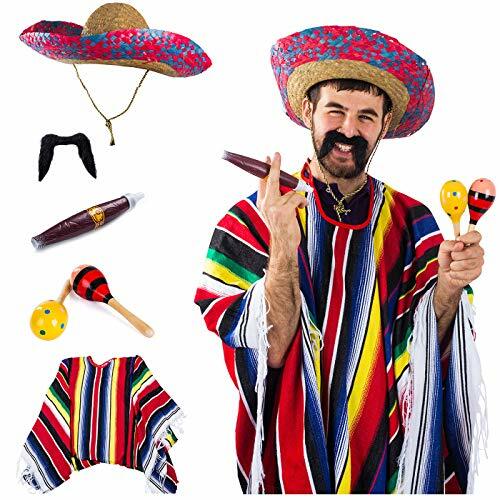 A perfect way to top off your look for Cinco de Mayo or a Fiesta theme party. Hats are made of high quality straw and have an inner circumference of 22.5" inches, fit most adults. MONEY BACK GUARANTE We will refund you or ship you a replacement if You have any issue with the order.